Summary: From the author of the bestselling You Can Win, comes another fantastic book that is just what YOU were looking for. It’s like the Bible for a sales professional and is sure to be one of your most treasured books. If you want to: Gain success and avoid pitfalls Meet and exceed your goals Establish credibility and grow Gain a competitive edge THIS BOOK IS FOR YOU! Who is not selling? A candidate at a job interview, apolitician making speeches to get votes, a boy and girl dating with the intention of getting married . . . all are selling themselves in some or the other way. You Can Sell challenges the age old clichÃ© which delineates sales to be the sole domain of a sales man. You Can Sell addresses time-tested principles which make a successful sales professional. The word used is ‘principles’ and not ‘tactics’. Tactics are manipulative whereas principles are based on the foundation of values. Many times you hear people saying that to succeed you need to learn the ‘tricks of the trade’. Well, this book is different! Good professionals learn the trade, and that’s exactly what You Can Sell teaches. My Views: Do you sell something? Do you want to gain success and avoid pitfalls? Do you want to meet and exceed your goals? Do you want to gain a competitive edge? Then, this book is for you. 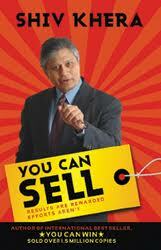 This book is a step by step tutorial into the art of selling. It’s not just a book to be read but it is a workbook. You have to engage actively in reading it, discuss the concepts and make most of your strengths and weaknesses. You will find anecdotes and real-life examples that are not only interesting but teach lessons on selling. The book starts simply with the concept of selling and moves on to success determinants, qualities of a winning professional and how to be one. It talks about the psychology of selling, importance of quality and credibility and how to gain referrals and testimonials. It also teaches the rules of letter writing and telephone calling. You gain knowledge of positive communication, negotiation, goal setting and time management. The principles that the book discusses are not only useful in the selling business but in every business you want to achieve success in. The lessons on communication, time management and goal-setting are applicable to every job and life in general. 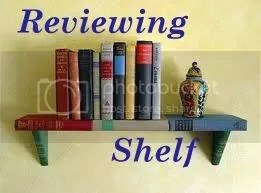 You summarize and revise your learning after each chapter and think about how they apply to you particularly with the help of the workbooks at the end. This book helps you learn the lessons of selling and all the principles that help you tread toward success slowly but assuredly. Next Post Second Nature Tour & Giveaway (US/CAN)! In my choice of books?